In June 2016, when CRPF personnel were returning to their base after a practice session at a nearby firing range, a car coming in the opposite direction pulled up close to their convoy near Pampore on the outskirts of Srinagar. In no time, its doors opened, militants brandishing Kalashnikovs rushed out and started firing at the vehicles. Five personnel were killed on the spot, three later succumbed to their injuries at the army hospital. Two militants were also killed before the car sped away with the remaining. One of them was 26-year-old Abu Dujana, the Valley’s Lashkar-e-Tayyeba chief. Over a year later, Dujana was killed on Tuesday in an encounter at Hakripora, Pulwama. Though a manhunt was launched to track him down, Dujana not only eluded the security agencies, but also went on to plan and execute more high-profile attacks, one of them on the Entrepreneurial Development Institute, again near Pampore. Attacks like these had made Dujana one of the most feared non-local militant commanders in the Valley, and among the people, he had acquired a cult status. He hailed from Gilgit Baltistan, the part of J&K under Pakistan's direct control, and now the bone of contention between India and Pakistan over the China-Pakistan Economic Corridor. But unlike his Kashmiri colleagues in positions of authority in militant ranks who are active on social media and want to be known by the people, Dujana was reclusive and publicity-shy – a trait he had in common with non-local militants. 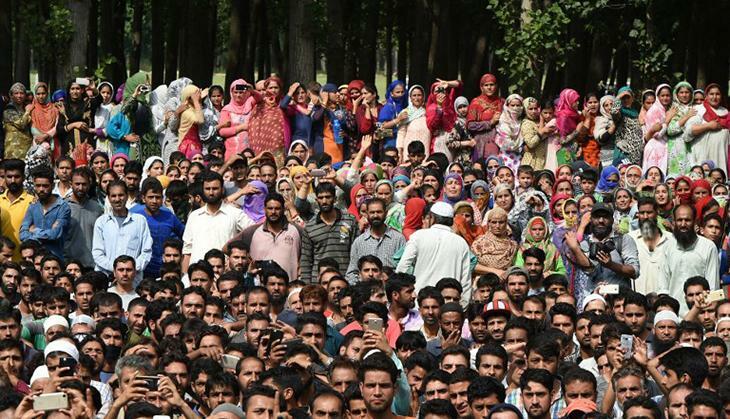 Last year, at the height of the unrest following killing of the popular Hizbul Mujahideen commander Burhan Wani, he had made some furtive public appearances at the head of some protests in South Kashmir. At one such protest, he had briefly spoken to the crowd. However, over the past several months, Dujana had allegedly gone inactive. He had also got mired in some controversies. 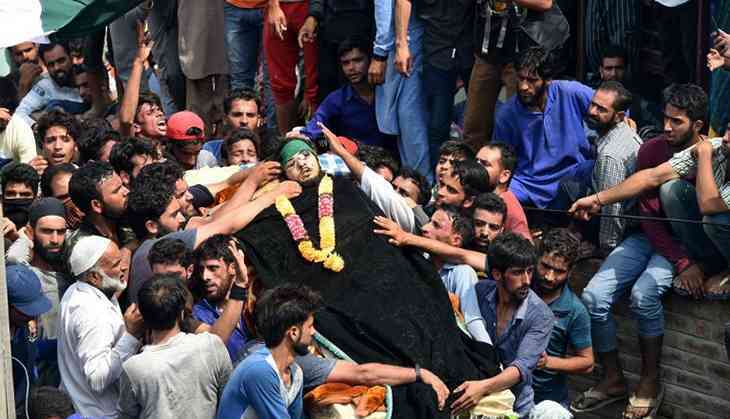 Security agencies believed he had quit Lashkar and joined Zakir Musa's Al Qaeda affiliate Ansar Gazwat-ul-Hind. But a police statement on his killing described him as the Lashkar commander. “LET chief commander Abu Dujana of Pakistan alongwith his accomplice killed in Hakripora Pulwama. Huge achievement for police & SF [sic],” J&K Police tweeted. Dujana was also believed to have married a Kashmiri girl. He was at the house of this girl along with his colleague when the forces, following a tip-off, cordoned off the house at dawn and engaged him in combat. Later, the forces blew up the house. Dujana had taken over as Lashkar commander in November 2015, after his predecessor Abu Qasim, who had a similarly fearsome reputation, was killed in a late-night ambush at a remote South Kashmir village. Qasim had Rs 20 lakh bounty on his head, more than that of Dujana, who had Rs 15 lakh. Qasim had been active for six years as Laskhar's J&K operations chief, and had presided over several high-profile attacks on security forces, including one on a BSF convoy near Udhampur, in which two personnel were killed. Another such attack was at Hyderpora in Srinagar on 24 June 2013, on the eve of the then-Prime Minister Manmohan Singh's visit to the state, in which 11 soldiers were killed. In what was the deadliest attack of the year, militants, armed with AK assault rifles, attacked an Army convoy from the front as well as the back. Dujana's life followed a similar trajectory. But in the end, it was the love for his Kashmiri wife that made it easy for police to trace him. Nobody knows Dujana's real name. He had borrowed his alias from the name of one of Prophet Mohammad's companions, a skilled swordsman mentioned in several Hadith collections of Sunni Islam. Though killings of foreign militants hardly trigger large protests in the Valley, Dujana's encounter did. Protests not only broke out across South Kashmir, but in central Kashmir too. After a long time, college students once again came out on the streets, forcing the state government to close down colleges. Mobile internet services were also shut down. Security agencies, meanwhile, were in a celebratory mood. General Officer Commanding of the Army's 15 Corps and Munir Khan, Inspector General of Police, Kashmir, held a joint press conference to announce the killing. According to Khan, the forces had tried to persuade Dujana to surrender through his family members, but he refused to do so. “The head of the family where Dujana and Arif (his local associate) were hiding was used to persuade them to surrender. Perhaps because of the presence of Dujana, Arif could not surrender,” Khan said. Interestingly, National Conference chief Farooq Abdullah, who, during his election campaign early this year, talked about making common cause with the separatist Hurriyat, also hailed Dujana's killing. “I hope they will continue to do this good work, so that there is peace in our state,” Abdullah said, replying to queries outside Parliament.